This post is sponsored by Village Farms. 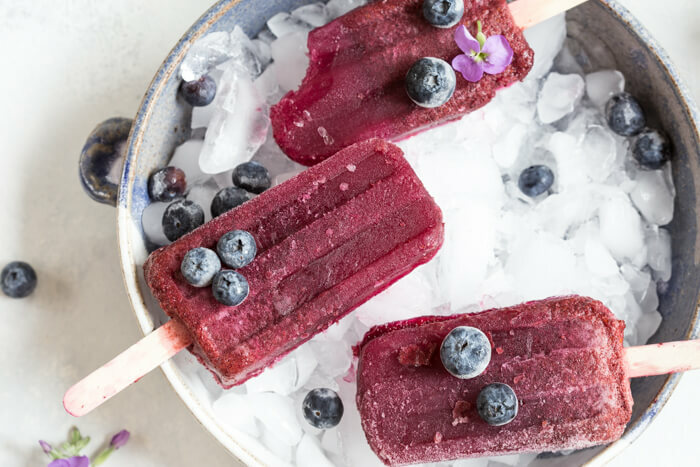 If you’re looking for more YUMMY ways to sneak in a little extra veg into your (or the fam’s) diet, look no further than making a batch (or all 4) of these savory fruit and veggie popsicles. 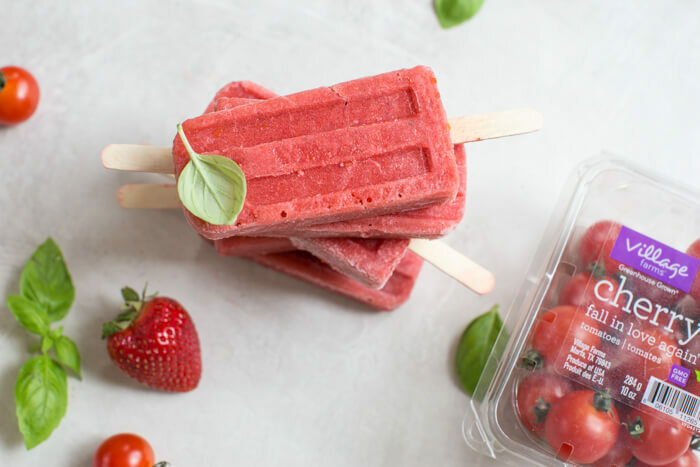 These whole food fruit and veggie popsicles will blow your mind because they are made with tomatoes and cucumbers from Village Farms! These veggies add a wonderful savory element to the pops and the fruit keeps them on the sweet side of life. 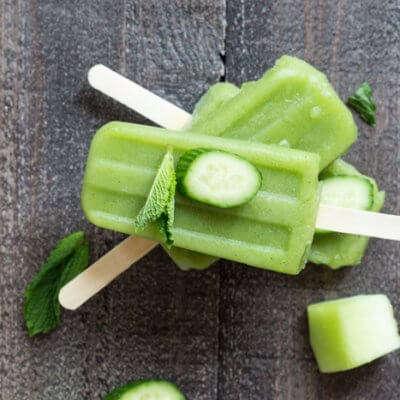 And we can’t forget about the nutrition boost that tomatoes and cucumbers add to these popsicles. Tomatoes are rich in lycopene, vitamin C, and folate. Deep red tomatoes have long been known for their high concentration of lycopene, however don’t discount the orange varieties! New research suggests lycopene in beta-carotene rich orange tomatoes may be even better absorbed by the body. Cucumbers consisting of mostly water, help to rehydrate and replenish electrolytes like potassium. Cucumbers are also a good source of Vitamin K, a nutrient that nourishes the health of the bone; reducing the risk of fractures. Cucumbers also have antioxidant properties, thanks to phytonutrients lignans, flavonoids, and cucurbitacins. So now you want to add more tomatoes and cucumbers to your diet, right? 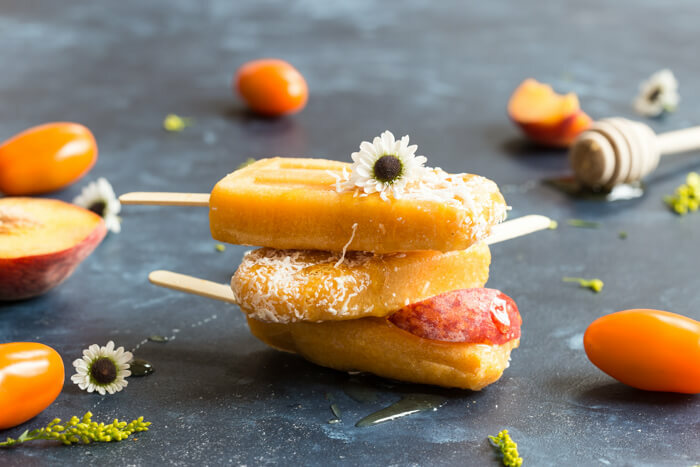 We’re bringing you savory fruit and veggie popsicles 4 ways so you can have frozen savory popsicle goodness for days. Because that’s just what you need to cool off from the summer heat, or after a good sweat. 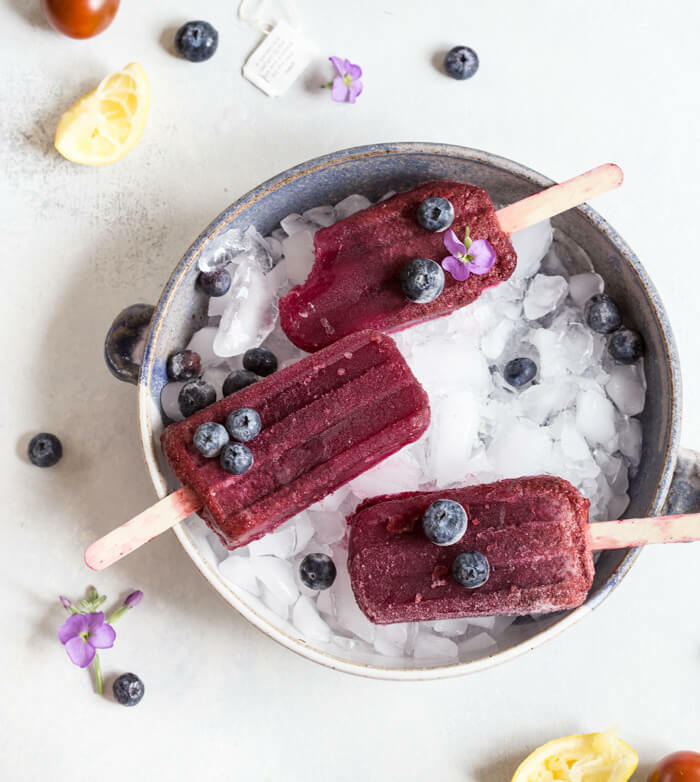 Popsicles make a tasty way to hydrate too, perfect for the kiddos that can’t seem to drink enough water. 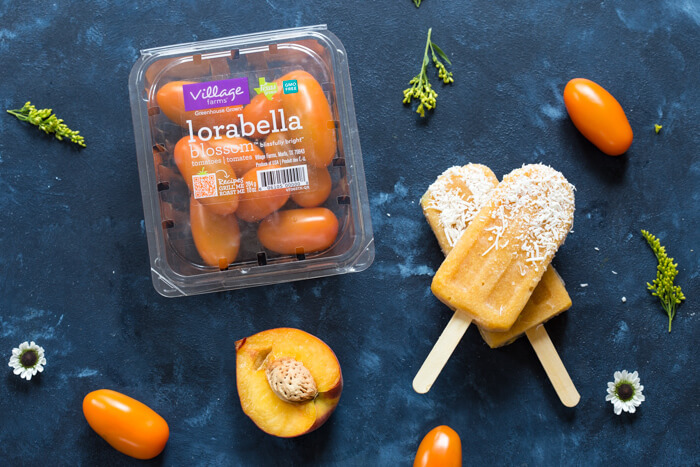 A creamy blend of peaches, coconut milk, honey and Village Farms Lorabella Blossom™ tomatoes. 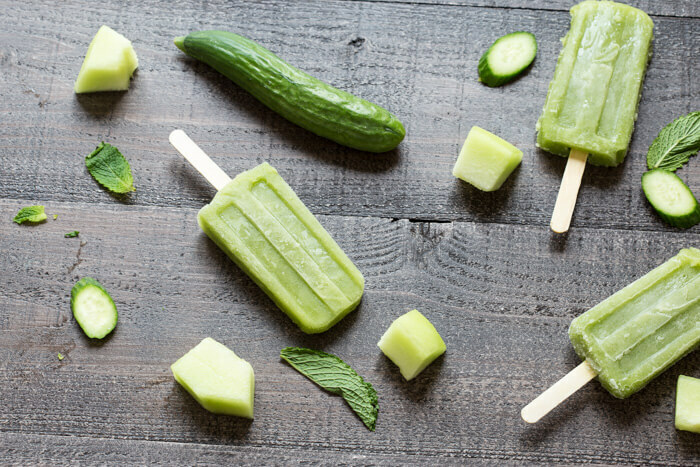 A refreshing mix of honeydew melon, fresh mint, and Village Farms Scrumptious Mini® cucumbers. A tangy and caffeinated treat with wild blueberries, brewed tea, lemons, honey and Village Farms Cabernet Estate Reserve® tomatoes. 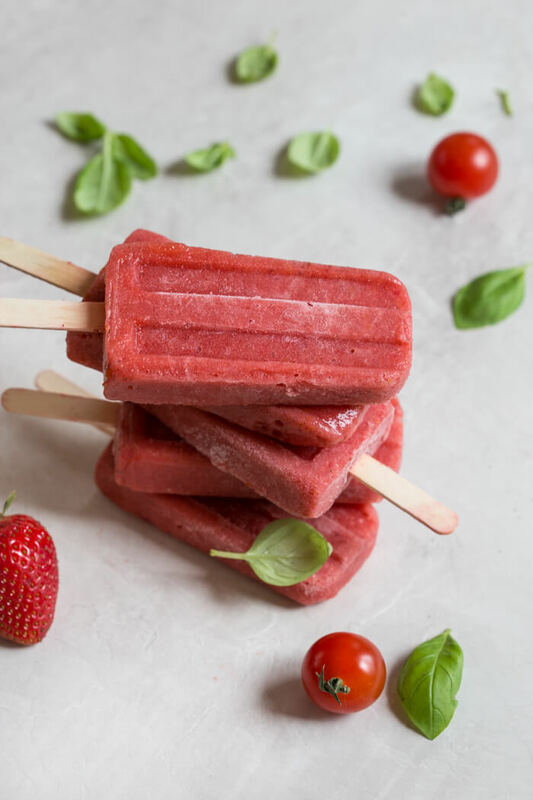 We’ve got the bases covered with these savory fruit and veggie pops to fit any taste preference… sweet and earthy, smooth and creamy, cool and fresh, tangy and err caffeinated (or decaf if that’s your style). 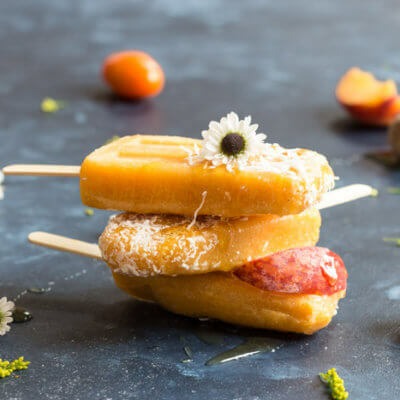 Not only are these Savory Fruit and Veggie Popsicles tasty, but they are very easy to create at home, all you need is a blender and popsicle molds (or ice cube trays/ dixie cups + popsicle sticks). 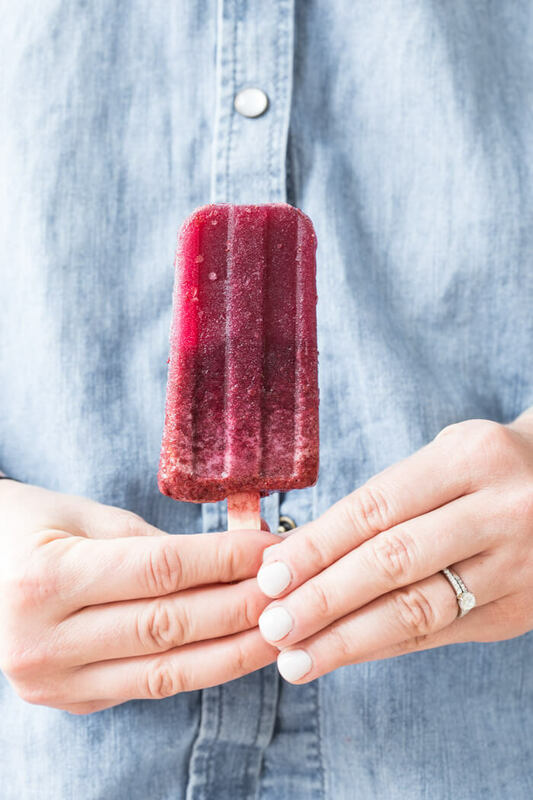 Cheers to more Savory Fruit and Veggie Popsicles! Which flavor do you want to try first? 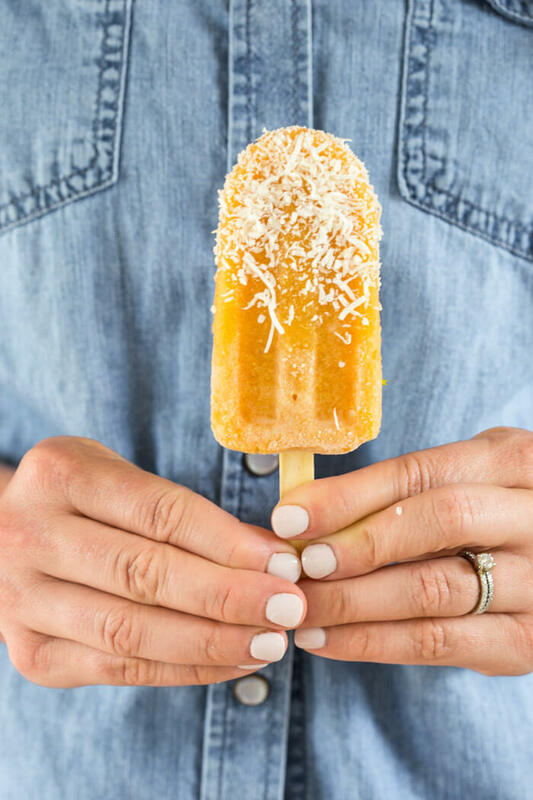 Read my blog How To Make Your Summer Pop and check out my recipe on the Village Farms site! Place all items into a blender. Blend until consistency is smooth and fully pureed. Pour blend into popsicle molds. Insert popsicle sticks. Freeze until solid and enjoy! 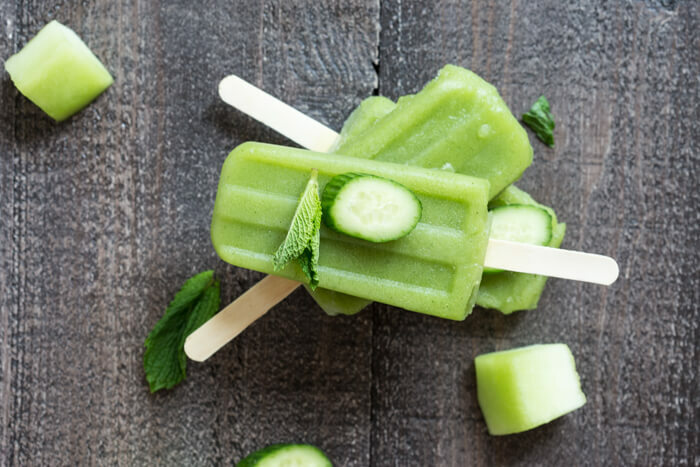 Cucumber Melon Popsicles, a refreshing mix of honeydew melon, fresh mint, and Village Farms Scrumptious Mini® cucumbers. 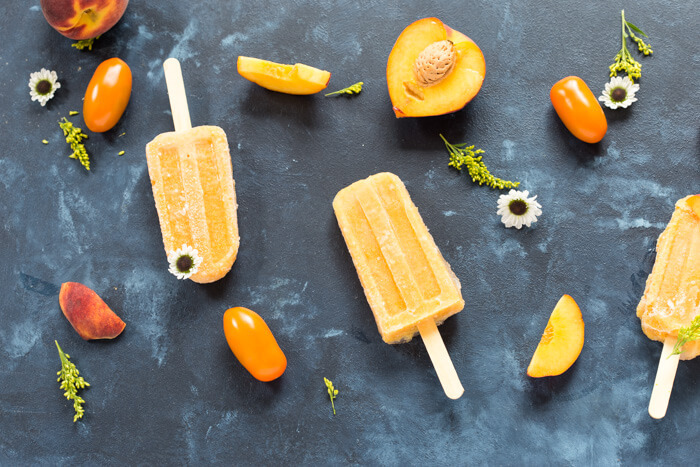 Peaches n Cream Popsicles, a creamy blend of peaches, coconut milk, honey and Village Farms Lorabella Blossom™ tomatoes. 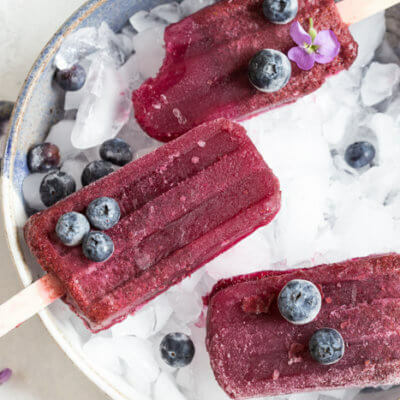 Blueberry Tea Popsicles, a tangy and caffeinated treat with wild blueberries, brewed tea, lemons, honey and Village Farms Cabernet Estate Reserve® tomatoes. What a great way to cool off. Those popsicles all look delicious! I absolutely love savory surprises like this – the flavor combinations sound incredible! Thanks Ashley!! I’m so glad to hear. These will be making an appearance in my kitchen soon! Love the strawberry basil flavor! Wow! 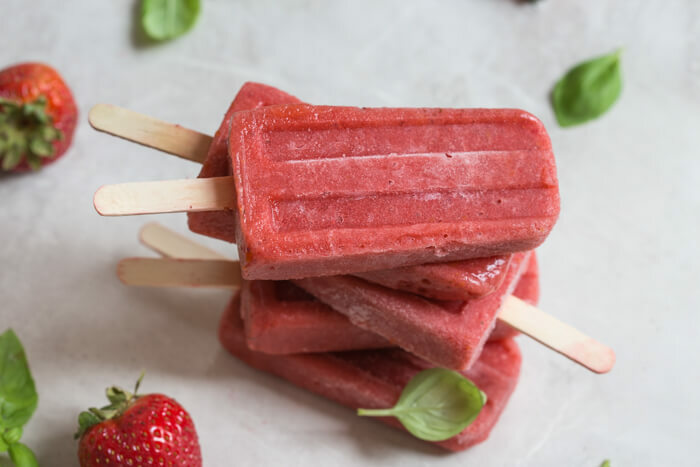 You have been busy making popsicles and they look wonderful! I love the fact that they are a little savory and work in some veggies! haha– you are right Denise. This did a lot of trial and error developing these recipes but the finished product was so worth it!! Wow! What a gorgeous roundup! 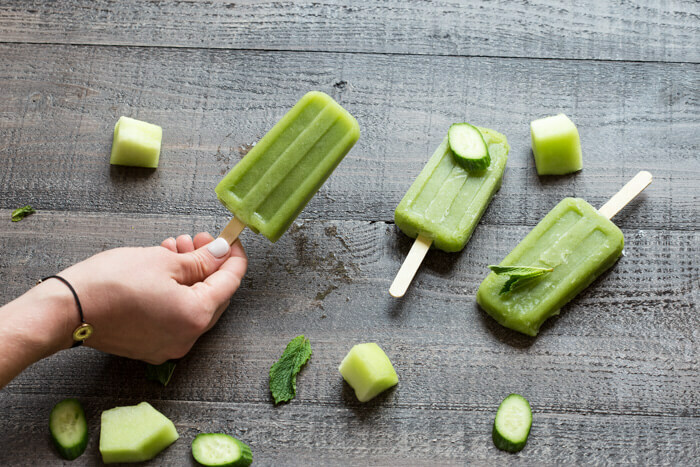 The girls are obsessed with popsicles so this would be a great way to work in some extra veggies. Can’t wait to try! Thanks Holley 🙂 I’m always trying to sneak in a little extra veg into my son’s diet. 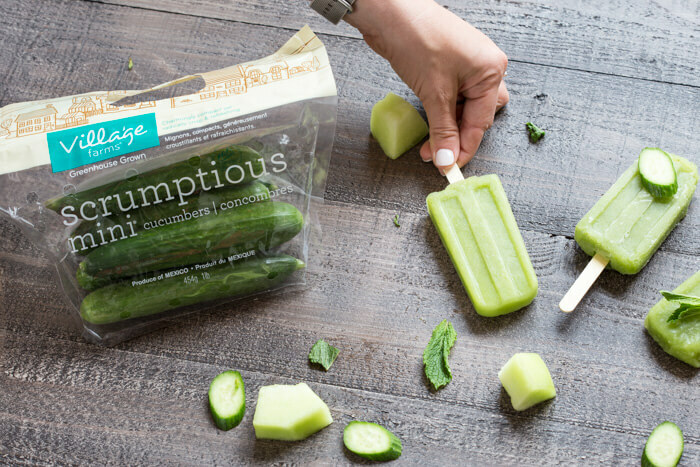 I would have never thought of savory popsicles; how clever!! I know right?! It works tho. These look SO refreshing and beautiful! 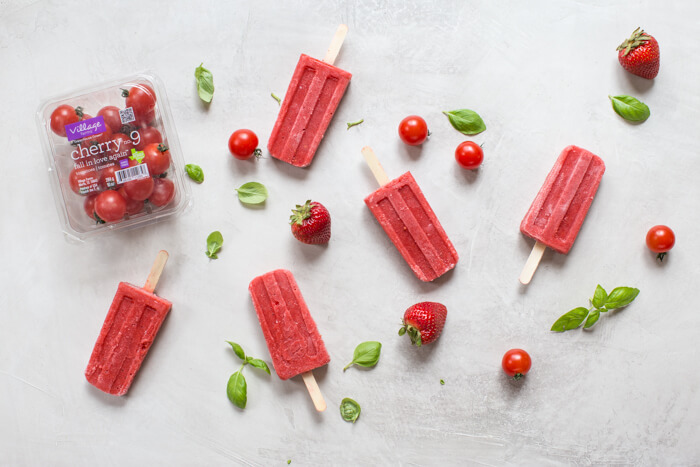 Strawberry + Basil sounds right up my alley. Looking forward to trying these out! This is a FANTASTIC post! I love the pictures and I love how healthy this is! Thank you for posting this! This will be great for summer! So refreshing and delicious i love the flsvor combos! Sitting outside in 98°F great at a soccer tournament I was hoping to make popsicles and craving them even more right now! Thinking the tea one would be great for National Iced Tea Day today! Thanks Sarah!! It’s so HOT and definitely time for some popsicles. 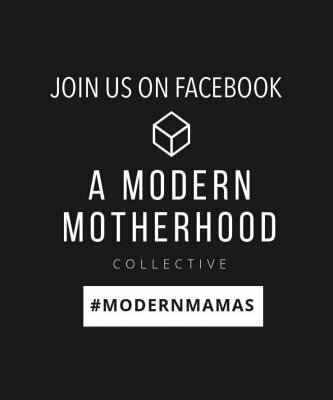 Wow, what an awesome idea! 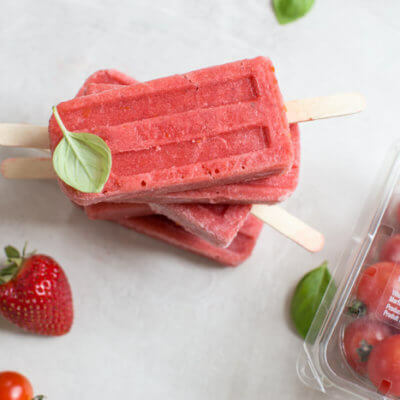 I would have never thought adding cucumbers or tomatoes to fruit popsicles would work! Love it! Oh, and photos are amazing! Thank you Julia, that means a lot. 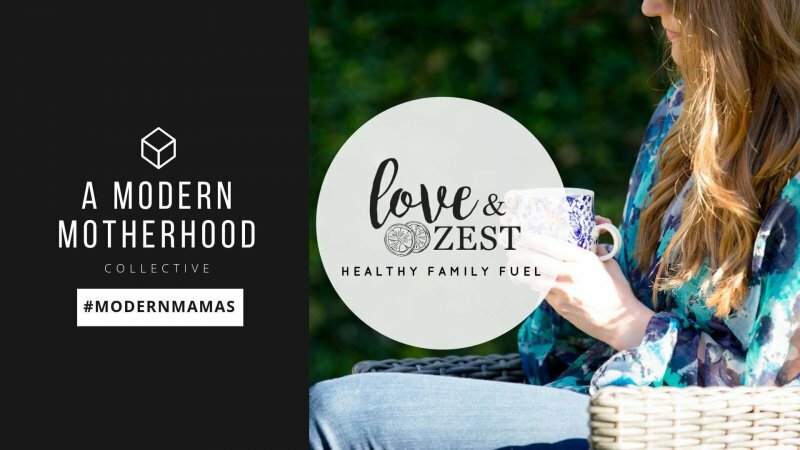 There is SO much goodness in this post! I love the sound of every single flavor. Definitely a good idea for summer treats! Wow all of these look delicious! Can’t wait to try the cucumber melon! 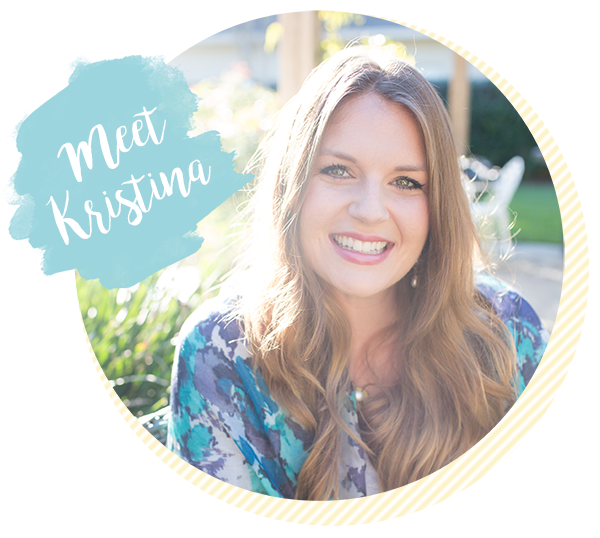 Such a fun idea Kristina! I’ll have to give these a try this summer with my girls! Hope you like them as much as we do! Thank u.
I have all of these in my freezer ready for tomorrow! I cannot wait to try them out! That’s awesome Kelsey!! Thanks for giving them a taste!! 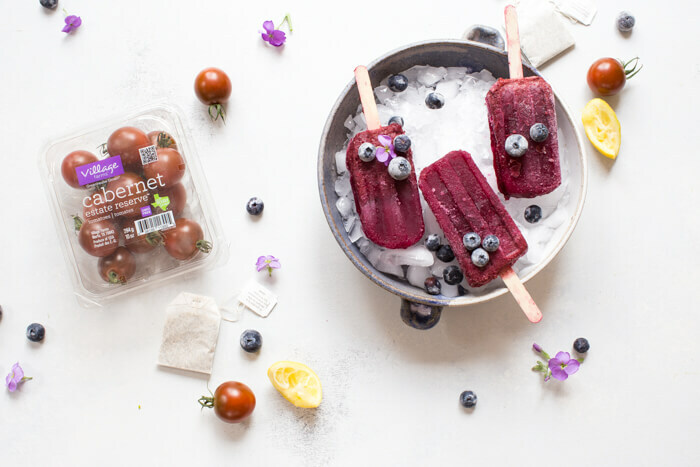 These veg and fruit popsicles are a real treat ..you’ve done a good job. So healthy and refreshing. I have to try these pronto! They look incredible. Those flavor combinations are so interesting! These are awesome. I’d like to try all four of them!